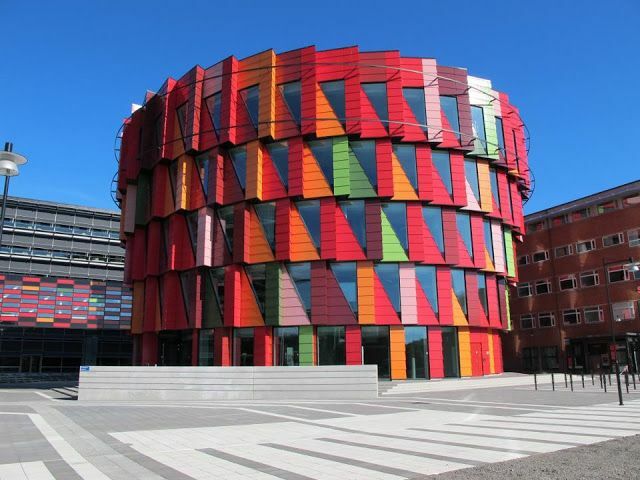 Chalmers University of Technology, Sweden is offering postdoctoral fellowship position in computing systems. This position is available for three years in the first instance. Applications are welcome before January 15, 2019. This project will be conducted at Chalmers’ department of Computer Science and Engineering, in collaboration with the department of Space, Earth and Environment, Energy Technology. The department of Computer Science and Engineering has about 70 faculty members and enrolls about 90 PhD students from more than 30 countries. The research spans the whole spectrum, from theoretical foundations to applied systems development. There is extensive national and international collaboration with academia and industry all around the world. The division of Energy Technology is part of the department of Space, Earth and Environment and include around 75 researchers with activities concerning energy production and consumption from process to systems level. The division has extensive collaboration with industry and policy makers. The Networks and Systems division at Chalmers’ University of Technology – Department of Computer Science and Engineering – consists of 7 faculty, 2 postdoctoral and 12 doctoral researchers. The division is active in a wide range of research topics in the fields of systems security, distributed computing, networked systems, parallel and multicore computing, data streaming and cyber physical systems. In addition, the division contributes to interdisciplinary research at the intersection of ICT, transportation, energy, e-science and built environment. The group is running several national and international projects in collaboration with both academia and industry. The energy systems research group consists of 4 senior researchers, 4 postdoctoral and 10 doctoral researchers devoted to the development of methods and models for analyzing electricity and energy systems. In particular the group focus on investigating energy systems with large shares of varying renewable generation, the structure of an electricity system encompassing many modular components and the linkages between sectors in the energy system. The group has a large interdisciplinary academic network and an extensive network within industry. As a postdoctoral researcher, you will join the Networks and Systems division and work at the intersection of cyber-physical systems and data analysis in distributed systems. The research will focus on the application of distributed systems methods on distributed optimization (matching, assignment, scheduling and related problems) and data processing (e.g. streaming analysis) in the context of modern electricity/energy grids, in which energy producers and consumers can take local and distributed decisions about how to exchange energy. Multi-Agent Systems have been largely discussed in research for smart grids in the last decades, essentially reflecting the fact that the latter are distributed systems. At the same time, growing efforts are made for cross-disciplinary research that can jointly explore (with different expertise) research questions so far addressed mostly independently by different research communities. This project aims at leveraging the joint knowledge of the involved researchers to push the boundaries of existing solutions and IT tools that can support distributed decisions in grids, encompassing large numbers of producers and consumers. The research project will be funded by Chalmers’ Energy Area of Advance Energy. Your major responsibility as a postdoctoral researcher is to pursue research in collaboration with PhD students and faculty, towards the goals of the project. You are expected to develop your own scientific concepts and communicate the results of your research verbally and in writing. The position generally also includes teaching on Chalmers’ undergraduate level or performing other duties corresponding to 20 per cent of working hours. The salary for the position is as specified in Chalmers’ general agreement for postdoctoral researchers. The position is intended to start in the beginning of 2019. Applicants should have an outstanding record of research, especially appreciating the value of combining foundational/analytical aspects and engineering practice. To qualify as a postdoctoral researcher, you must have a PhD degree in Computer Science and Engineering or in a related discipline; the degree should generally not be older than three years. A genuine interest and curiosity in the subject matter and excellent analytical and communication skills, both oral and written, are needed. The ideal candidate for the position has a strong background in distributed computing systems, with a focus on distributed optimization and matching techniques, including both algorithmic aspects and programming and system development. Further experience from the field of power/energy systems or background in cyber physical systems such as electricity/energy networks, machine learning, streaming data analysis will be helpful in the scope of this project. Knowledge of Swedish is not a prerequisite for applying since English is our working language for research. Both Swedish and English are used in undergraduate courses.Chalmers offers Swedish courses. Our researchers and PhD students at the department come from more than 30 different countries. The application should be marked with Ref 20180646 and written in English.